Carol’s healing journey has been guided by many influences. She has been a marine mammalogist, charter boat captain, divemaster, boat builder and is now a holistic health practitioner and teacher. Many years ago, when training to be a captain, one of her instructors mentioned that she had “healing hands”. This did not mean much to her until, one day, everything changed for her due to a fractured vertebrae. Through loving massage and chiropractic care, she healed completely without the use of any medications or surgery. This led to a desire to become a massage therapist in 1994, so she could help others on their healing journeys. She has had many wisdom keepers show the way of Spirit. Lee Joseph and Carole Madsen, founders of the Pacific Center for Awareness and Bodywork, were the first to show Carol how healing begins within the individual, through hypnotherapy and structural integration. 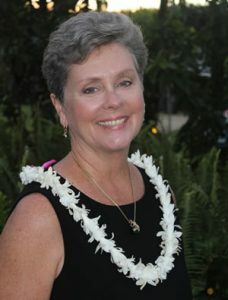 Dr. Maka’ala Yates, D.C., a kanaka maoli (Hawaiian ancestry) (www.manalomi.com) introduced Hawaiian healing way s, beginning in 2002. Maka’ala is a close friend, mentor and an invaluable spiritual influence. Carol has also been an apprentice with Dr. Jane Ely, D.Min., (www.drjaneely.net) a spiritual teacher, healer and counselor who founded the Peacemaker School of Spiritual Healing. Jane is a close friend, mentor and spiritual guide since 2004, and she has gifted Carol the teachings of her lineage, to be passed forward to the next generations. Healing truly does begin from within, and it goes beyond the mind…the heart must be bridged with the mind. In these challenging times, spiritual awareness and transformation are not only necessary, but essential for our survival. 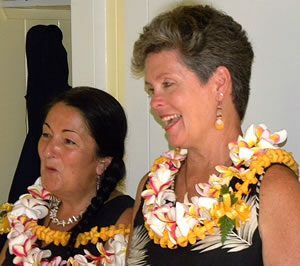 Whether through education or private sessions, Carol can assist with deep aloha and understanding, while allowing one to find their own path in the healing way. Carol founded the first massage establishment in West Kaua’i (Hart-Felt Massage and Day Spa), and also the first Mana Lomi® based massage certification school (Aloha Lomi Massage Academy) on the Island of Kauai.